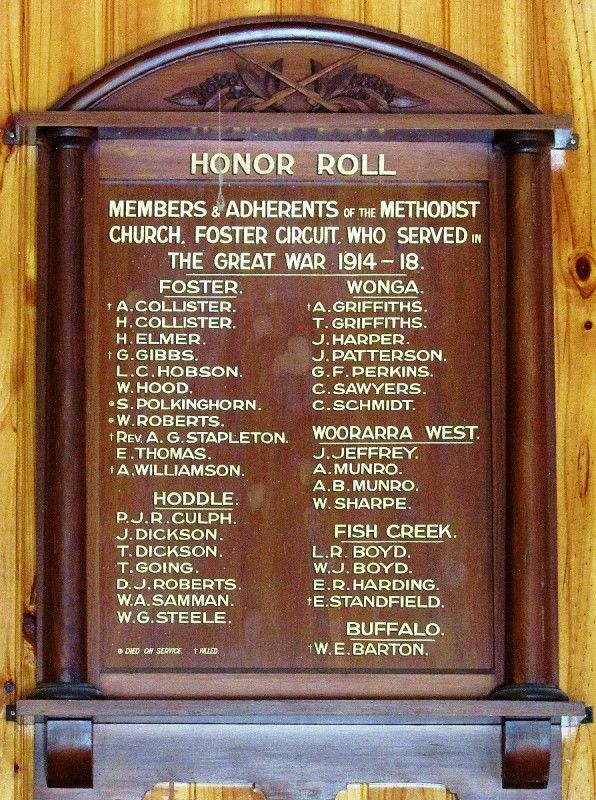 The wooden honour roll commemorates members of the Methodist Church Foster Circuit who served in World War One. The Honour Roll was unveiled at the evening service on the 12th March 1916 and honours those from the church and district who served in World War One. Port Fairy Gazette, 9th March 1916. Members & Adherents of the Methodist Church, Foster Circuit who served in the Great War 1914 - 18.